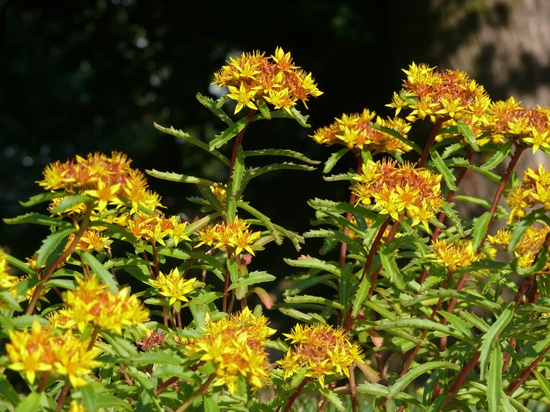 The entire plant or root of Sedum aizoon L. is sweet, slightly sour and neutral in properties and stops bleeding and releases stagnation to nourish the blood and calm the mind. The entire plant is used for epistaxis, cough with blood, vomiting with blood, insomnia, irritability, etc. The root stops bleeding, reduces swelling and relieves pain. It is used for epistaxis and traumatic hemorrhage. The recommended dosage is 15-30 g for the plant, 6-10 g for the root.